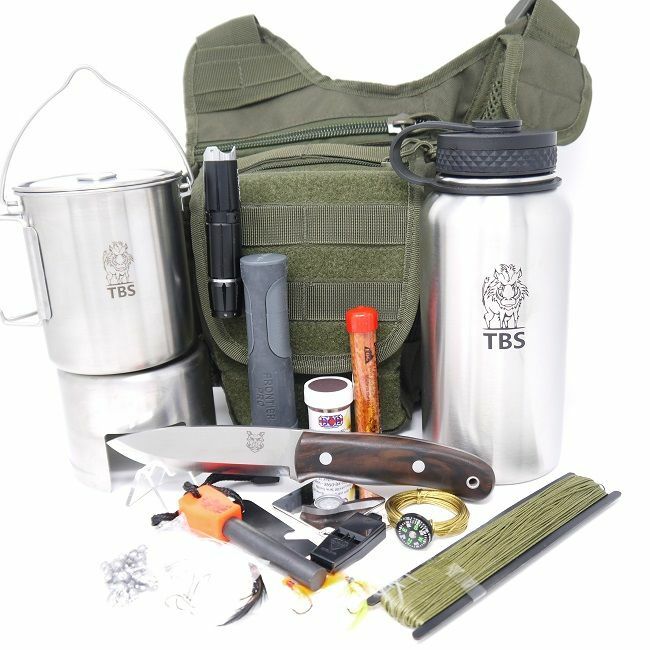 The Survival Stores medium survival kit isn't your commonal garden survival tin with all those relatively sub standard bits of kit in it. This the real deal with really useful bits of kit that you really will use in any survival situation. Fire - Goes hand in hand with shelter, warmth and probably more immediately important is it's signal capabilities. Water - goes without saying but many people have been known to survive days without water. Food - The least important aspect as you can survive for weeks without food. A "Bum Bag" or "Fanny Pack" type waist pack - A great little pouch with a built in belt so it is really easy to carry. It features 3 zipped pockets and the main compartment features another zipped pouch, sub divisions and elastic loops for diving up you kit. 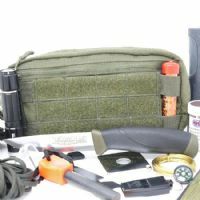 There is also Velcro and MOLLE loops on the front so you could even add another small pouch or two to the front should you so please. 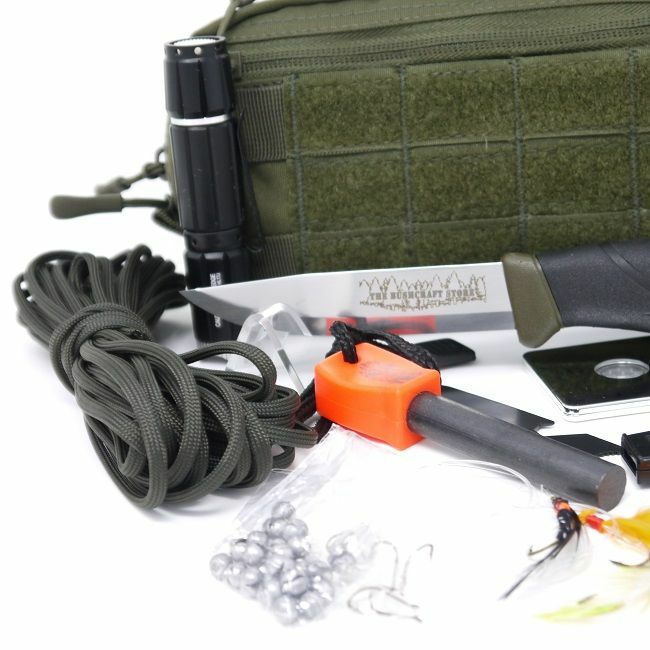 A TBS Lynx Knife OR a Mora Companion Knife - Both great knives and great cutting tools. The Lynx has the advantage of being full tang so will be stronger. TBS Fatboy Firesteel - Lasts for an age, thousands of strikes for thousands of fires. 2" Signal Mirror - Remember a heliograph can signal for miles on a sunny day and the best way to survive is to be rescued. A NATO Issue Fishing Kit - A fishing kit is always handy as it is always easy to find bait and a line can be left in water for prolonged periods of time leaving you free for foraging and the like. Lifeboat Matches - Perfect for emergency use as they will even stay lit under water! 5 x Baddest Bee Fuses. Snare Wire - A low calorie way of food gathering is by using snares. Remember if you are practicing setting up snares please make sure you observe all local laws. 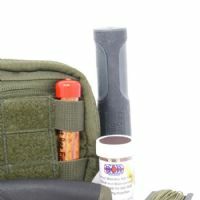 Signal Whistle - Your best chance for long term survival is to actually be rescued so signalling kit can be invaluable. Button Compass - As a rule you try to stay put with a vehicle but there does come a point when you need to move and quick direction finding can save time and energy. Iprotec 100 Torch - This is great little torch that has a brightness of 100 Lumens and features a strobe as we all know how important signalling equipment can be when it comes to rescue. 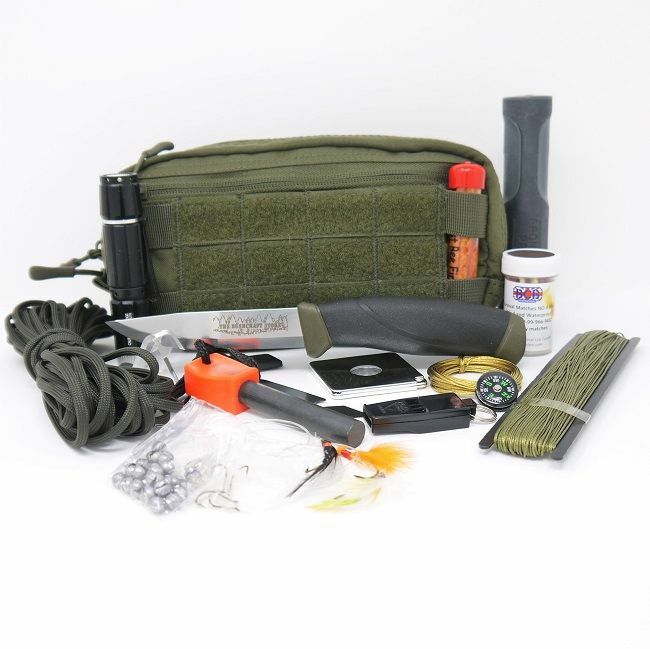 US GSA Compliant 550 Paracord - None of your Mickey Mouse nonsense this is the genuine gear straight from the USA and a real bonus for strong shelter making. All in all a pretty comprehensive kit but there is still enough room within the belt pouch to add some more bits of kit like a pencil and paper or some small medical aids, or simply tailor it to your own demands. We reserve the right to change any product within the kit without prior notice. We will NOT simply change everything for low quality products it will simply allow us to substitute an item if it happens to be out of stock. We will always replace it with the equivalent value or better quality product and not trade it down. 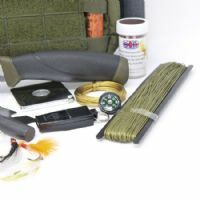 The colours of items may vary from the photos displayed due to current stock levels.